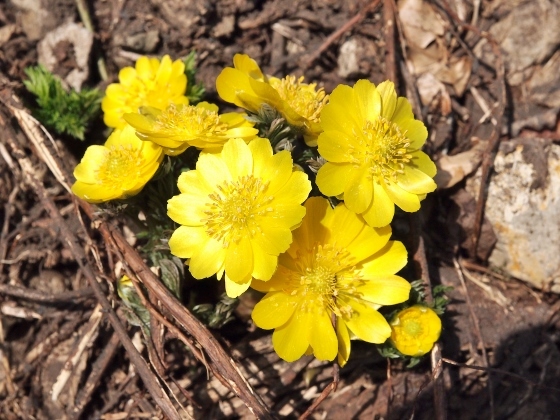 Today, I visited Tadami Town and joined excursion for looking at spring ephemerals or flowers. 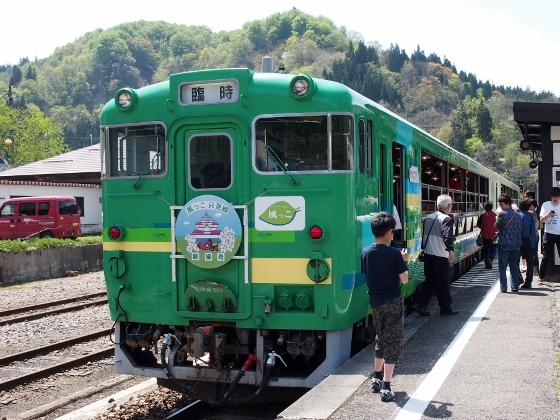 I took JR Line to Tadami Station and then pedaled to Buna (=beech) Center Museum from which they picked us to the site along the Kurotani River. First, I want to show you today's scene of Tadami Town with kanotsu River and Mt. Asakusadake in the background as shown above. 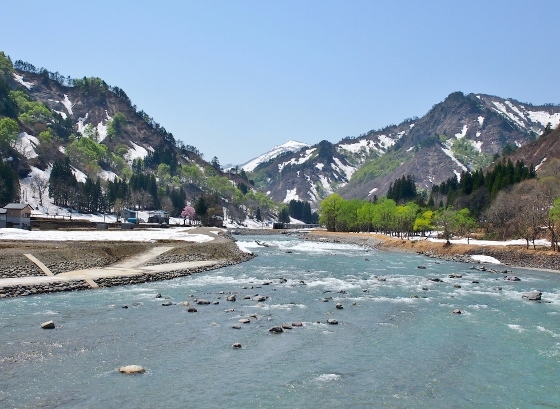 Tadami Town was designated UNESCO Biosphere Reserve last year. Another scene above is of Mt. 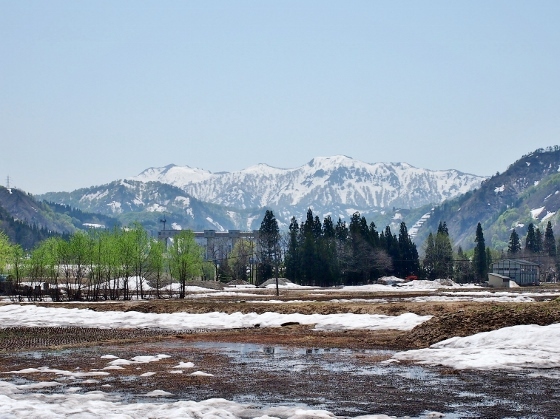 Aizuasahidake which will be open to climbers this year for the first time in four years. 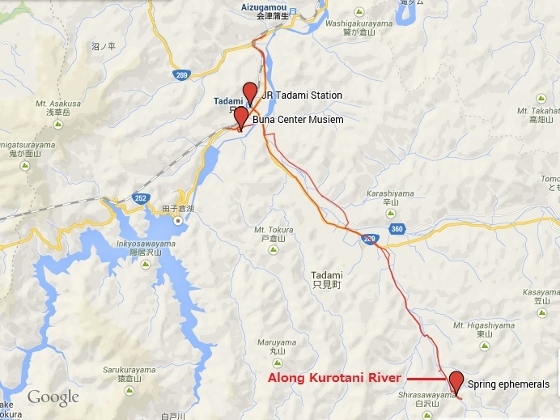 Along the Kurotani River in the map we could find some of spring ephemerals or short life flowers. All of these are 100% wild. 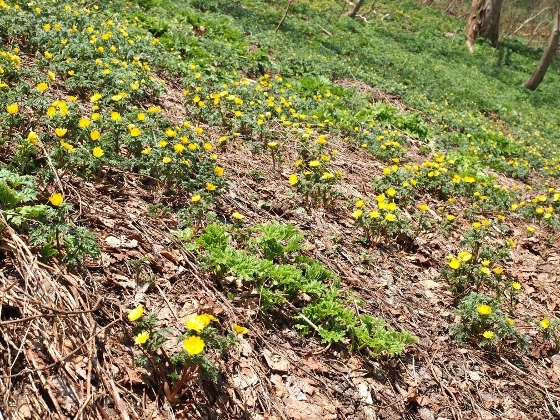 First, there was very large scale wild habitat of Amur adonis as shown above. 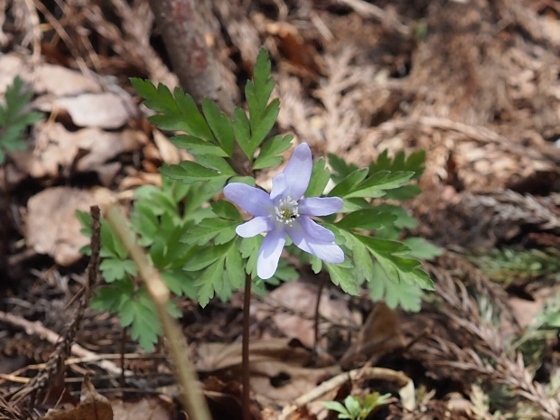 Then we found rare kind of pale blue anemone pseudoaltaica as shown above. 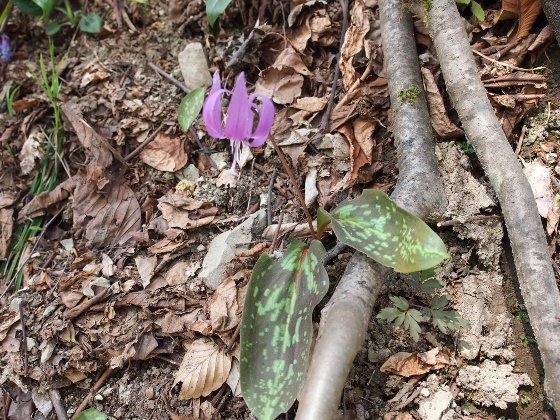 We also found many flowers of dogtooth violet as shown above. 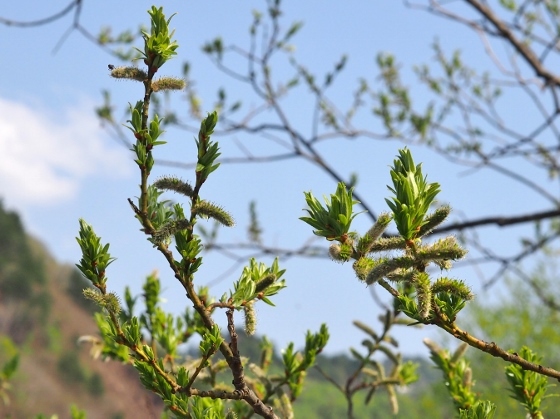 The staff guide showed us recently found new and endangered type of willow tree called Salix fukaoana. The flowers of the tree are shown above. The followings are additional information on the return trip the next day. I met two different event trains for this spring vacation at the station. 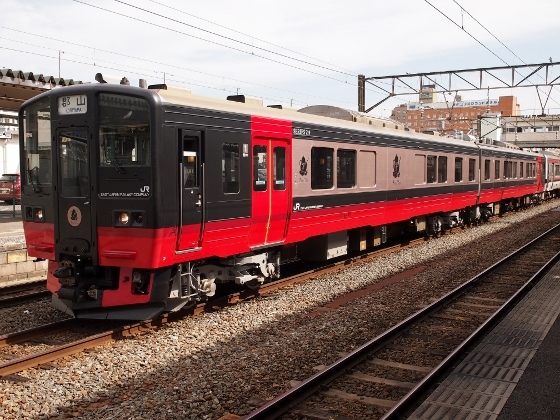 First one is Kazekko Tadami Line truck train at Aizukawaguchi Station as shown above. Then I met with FruiTea event train at Aizuwakamatsu Station. Special fruits and tea are served to everybody on this train.